I bought a Felt F80 last week from my LBS and part of the deal was a pair of Shimano R-98 shoes. Today they called me and told me the Shimano shoes will not fit the Felt F80 clipless pedals. They told me that Louis Garneau Roady shoes will and they will order me a pair of them as a substitute. They told me the Louis Garneau Roady shoes are more money than the Shimano shoes and they would cover the difference. Does this sound right, or is something "fishy" going on? Sounds like you should get the shoes that fit you. How do you know the LG's (or the Shimanos for that matter) will fit your foot? I tried the Shimano's on and they fit well. They said we can try the Roady for proper fit, and if they don't fit well we can try something else. Last edited by Karpems; 02-11-07 at 03:24 PM. If you really want those shoes ask them if they'll switch out the pedals instead. The only scenario I can think of where this would be the case, is with a 3 hole style shoe (look type cleat) and an SPD style pedal (2 hole cleat). But even those shoes tend to have adapters. Ask exactly WHY they won't work together. First, maybe you should look for a new LBS, because the one you go to now doesn't know what they're talking about. You can use any shoe with any pedal - you just need the same cleat to go with the pedal. Just like DrPete said, tell your LBS that you want the shoe that fits your foot, and make sure you try them on. First, maybe you should look for a new LBS, because the one you go to now doesn't know what they're talking about. You can use any shoe with any pedal - you just need the same cleat to go with the pedal. Ah...no. You can't use any shoe with any pedal. My Nikes can only be used with three bolt look/shimano spd-sl style cleats period. Many of the shimanos only had the two hole setup not the three hole. So depending on what type of pedals the OP had...they may be limited to the type of shoes they can use. i.e. they are using a straight spd road or MTB type pedal (uses a two hole cleat)and the Shimano shoes they originally tried might on are only for SPD-SL or Look Style pedals (three hole cleat). As to the OP...as long as the substitute shoes fit properly, are of a similar price range/quality and work well with your pedals you should be fine. Last edited by dekalbSTEEL; 02-11-07 at 09:26 PM. Can the Shimano R98 be used with SPD pedals? 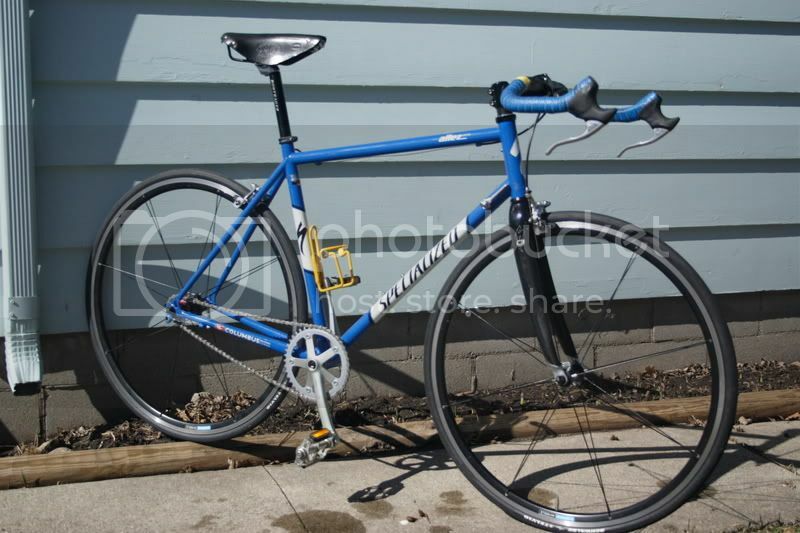 I was looking online and it says the bike comes with "Aero Aluminum Clipless Sealed Bearing Pedal with CNC CrMo Axle" Is that the same thing as SPD pedals? I think I understand now. Correctly if I am wrong, but I am guessing the Shimano shoes have 3 holes and the pedals on the Felt has a 2 hole system, so they can't be used together? That would mean the LBS is telling the truth. According to the LG website, the shoes can be are compatable with Look and SPD petals. According to the Shimano website, the R98 is only Look complatable. That would be my guess. The Shimano shoes look to be compatible with the three-bolt Look pattern. I do not see a place for a 2 bolt cleat. If the pedals require a 2-bolt SPD (not SPD-SL) cleat, they would not work. I know for a fact that my 3-hole Diadora shoes are compatible with both Look and Shimano 3-hole cleats.. I don't think it would be too unreasonable to expect shimano shoes to work with SPD (aka SHIMANO) pedals. That is correct. Now you know that the R98s are not compatible with your spd pedals. The bike shop is not scaming you. As it's a road bike unless you plan to walk a lot in your cleats I wouldn't get spd type pedals. Go with either shoe but change the pedals. Keep the Shimano shoes and get a set of road pedals (SPD-SL or Look). The larger cleat gives you a more solid connection to the pedal. My question exactly. Other than shoes made for the Time only system, what's the problem. Now if you wanted Mt. shoes and the cleats will not fit it is another story. Thats what I was checking, to see if the shoes are actually more expensive or if they are hosing me. I also checked into the pedals. It is weird, but the Shimano shoes do not fit the pedals. They are telling the truth. It is good to know I have found a reliable LBS. BTW: There are 2 kinds of SPD, SPD mountain (2 hole) and SPD road (3 hole). Be careful when asking for each. It is weird, but the Shimano shoes do not fit the pedals. It's not all that weird. As slvoid said, two types of SPD; SPD is the Shimano mountain bike pedal mechanism (2 bolt cleat), and all the Shimano mountain bike shoes will work with them. As far as I know, all mountain bike pedals on the market (Shimano SPD, Time ATAC, Crank Brothers Egg Beaters, Speedplay Frogs etc) all use a 2-bolt cleat. Shimano road pedals use a SPD-SL mechanism (3-bolt cleat). Shimano Road shoes are made to work with Shimano (and other 3-bolt) road pedal systems. Most road pedals use a 3-bolt cleat (some use 4-bolt). Some shoe manufacturers make road shoes that work with 2-bolt cleats, some don't. Long story short, don't be confused between SPD and SPD-SL. I agree, but since Shimano came out with a 3 hole style road pedal, all their road shoes are drilled for road pedals and their mtb shoes are drilled for mtb pedals. Not sure why they felt it was important to basically copy a LOOK design (it seems to me), but that was their market strategy, and the reason I didn't buy their shoes. I think there are a lot of riders that would disagree with you. My buddy is in great shape and wants to go fast but he wants spd pedals so he can walk comfortably. He would not consider anything but spd. They are also generally lighter and better ground clearance. Lore has it that LA disliked the old Shimano road SPDs which were two bolt, preferring LOOK pedals. Shimano then designed the current SPD-SL system (which are essentially a LOOK copy). So much the better, IMHO, as I like the Shimano cleats much better than my old LOOKs. Much more walkable.